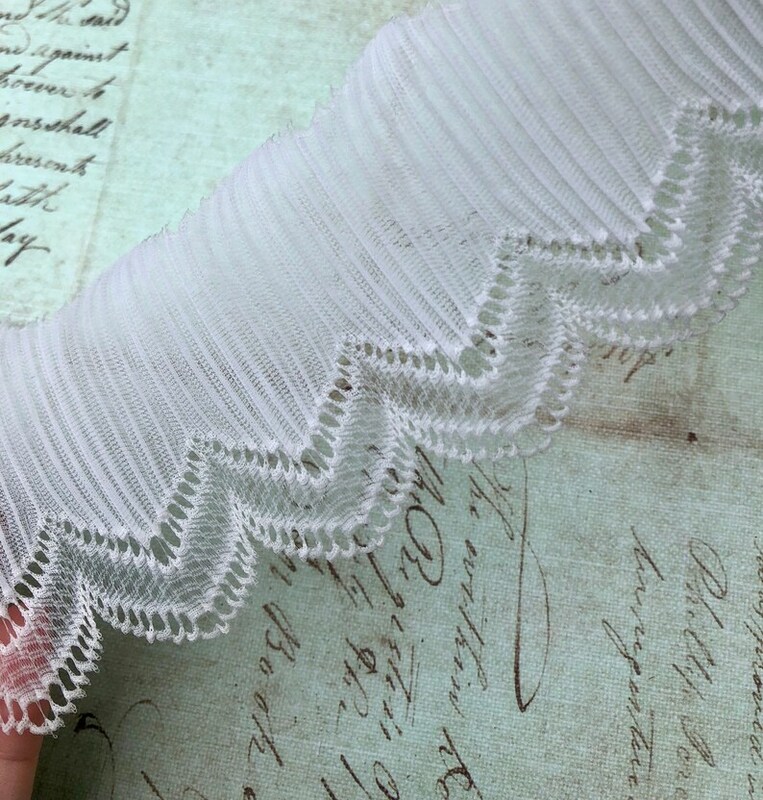 This listing is for 1 yard of this lovely sheer trim. It's so charming, with delicate tiny pleats and a soft white color. The fabric is a sheer synthetic, with a nice soft drape to it. It's wonderful trim that would lend a lovely vintage flair to your sewing or crafts project! This trim is 2 inches wide, and this listing is for 1 yard. If you want more than one yard, you can order more yardage by adjusting the "quantity" when you put it in your cart. This trim is in excellent condition, with just a bit of age discoloration.